How do you woo powerful friends to help your new aerospace company get big-dollar contracts? If you're Tesla (TSLA)-owner Elon Musk, you load your newest, coolest gadget -- a space capsule designed to take seven astronauts into orbit -- on a flat-bed truck in California and drive it (slowly) over 10 days to Washington D.C. Park it a few blocks from the Capitol. Then invite Congress to climb in. "Great job, Elon!" 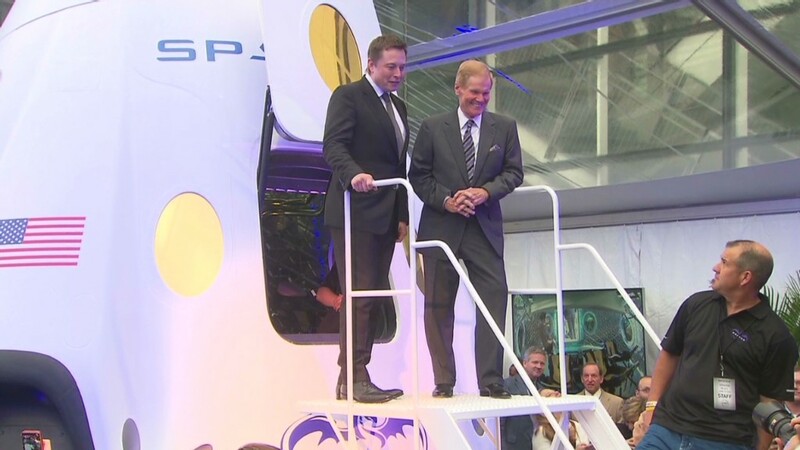 yelled Rep. Dana Rohrabacher, a California Republican, poking his head out of the Dragon V2 space capsule, which Musk hopes will one day ferry U.S. astronauts and scientists into outer space. Musk's California-based Space Exploration Technologies Corp. depends on federal contracts, like most aerospace and defense companies. The company has already landed a few federal contracts, including one to launch robotic, unmanned cargo vehicles into space. But Elon Musk wants more. But he's competing with the big giants, Boeing (BA) and Lockheed Martin (LMT), which have had a lock on these contracts for years. When it comes to shuttling people into space, Musk's space capsule will compete with Boeing and also Sierra Nevada Corp. (the tech company, not the beer company). The rush by private aerospace companies to launch people into space is being driven by NASA's decision to shut down its space shuttle program. Right now, U.S. astronauts must hitch a ride with the Russians to get to outer space. But things have gotten awkward for SpaceX in Washington. In April, Musk sued the federal government for unfairly shutting out SpaceX from a big $7.2 billion contract to launch things into space, like GPS satellites. Musk said on Tuesday, he doesn't regret the lawsuit against his largest customer, saying "What other choice did we have?" "We didn't file a lawsuit because we wanted to, we filed a lawsuit because there was no other path," he said. 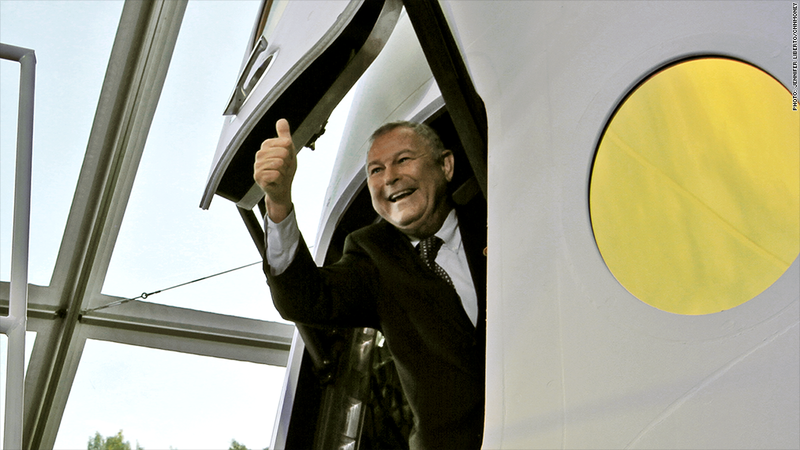 Rep. Dana Rohrabacher, a California Republican, gives Elon Musk the thumbs up, after touring the inside of the space capsule Dragon V2. Nothing helps ease smooth things over in Washington like a good party. And Musk wasn't coy about why he wanted lawmakers and officials at federal agencies to step inside the Dragon V2, touch the plush leather-lined seats and giant electronic display screen. "At the end of the day, legislators are writing checks on behalf of the American public, and ... seeing something in reality is much more convincing," Musk said. More than a dozen lawmakers checked out the capsule including Senators Bill Nelson of Florida and Martin Heinrich of New Mexico and Reps. Rohrabacher, Charles Albert "Dutch" Ruppersberger of Maryland, Mike Honda and Antonio "Tony" Cárdenas both of California.